Space is limited- RSVP required. Call the Tread of Pioneers Museum at 879-2214 for more information and to sign up for a time slot. FREE! Join us if you dare! 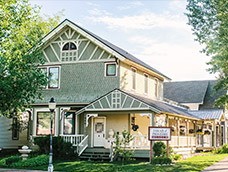 We invite you to a haunted tour of the Crawford mansion, the stately stone house at 1184 Crawford Avenue that has stood on a hill overlooking the town of Steamboat Springs for 120 years. It was the fourth and final home of the Crawfords, Steamboat�s founding pioneer family. 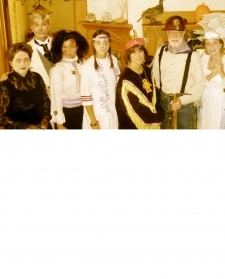 On the tour, local Spellbinders �ghosts� stationed inside the home tell spooky stories of historic Colorado and Steamboat Springs. It should be noted that the funeral services for both town founder James and his wife Maggie, took place in the home. Built in 1894, this impressive landmark is now restored to its original condition and listed on the National Register of Historic Places.